The Storylines Children’s Literature Trust of New Zealand has announced the 2019 winners of three national awards. 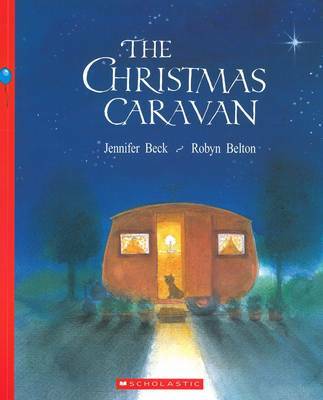 The Christmas Caravan by Jennifer Beck, illustrated by Robyn Belton (Scholastic). The winners were announced at the Storylines National Awards Day in Auckland on 31 March, along with the presentation of the Margaret Mahy Medal and Notable Book Awards. The winners each receive a cash prize of NZ$1500 (A$1435). In addition, the winners of the Joy Cowley and Gavin Bishop awards will receive an offer of publication by Scholastic NZ and Penguin Random House NZ respectively.